Better the Balance, Better the world…to make a positive difference for women everywhere. Isha Hospital is organizing a Talk-Event on the occasion, enlightening on the topics of broad and current interest relevant to today’s women and her lifestyle. 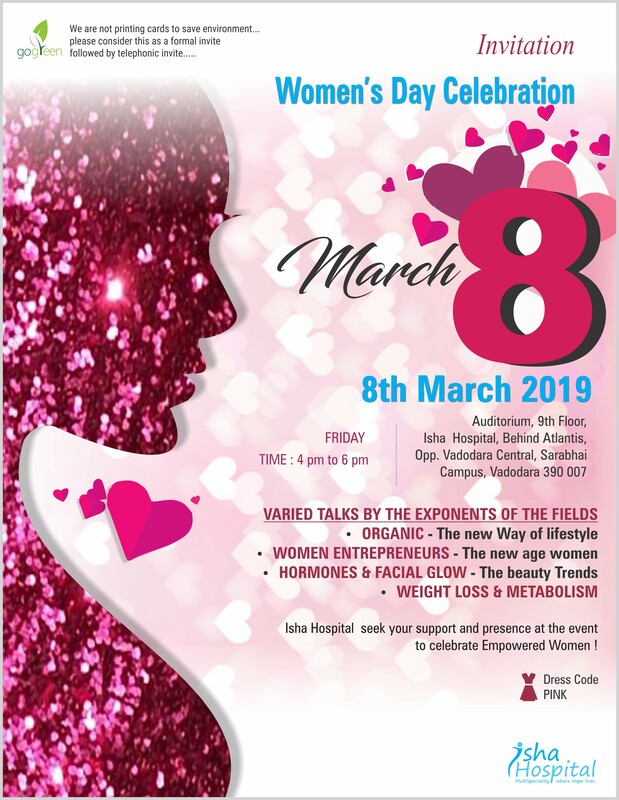 Inviting all beautiful women out there, to come to Isha Hospital on 8th March, to cherish some beautiful moments.